One of my gorgeous friends celebrates a birthday today (happy birthday, my dear! ), so Hugo and I caught up with her for a coffee yesterday. It was lovely to see her and chat. And funny watching the cafe’s customers try to work out whether Hugo (and his low-level baby noise) was cute or damaging the cafe’s hipster image. He got a few little smiles, so I’m hoping majority opinion was going with cute. I made this little gift for her. 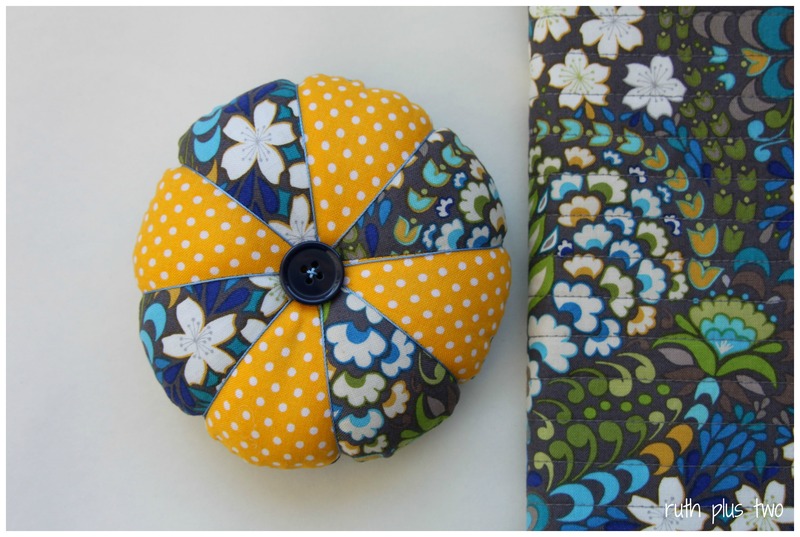 I used the same pin cushion tutorial that I used here, and the covered notebook tutorial here. I ran into *lots* of strife with the notebook tutorial, mainly because I wasn’t sure what seam allowances and measurements were used. It all ended up a little pear-shaped. Nothing a date with a rotary cutter and a quilting square couldn’t fix, in the end (I may or may not have cut the book smaller to fit…). I will make the inside flaps wider next time. I like the sweet pockets for stashing away useful bits of paper. 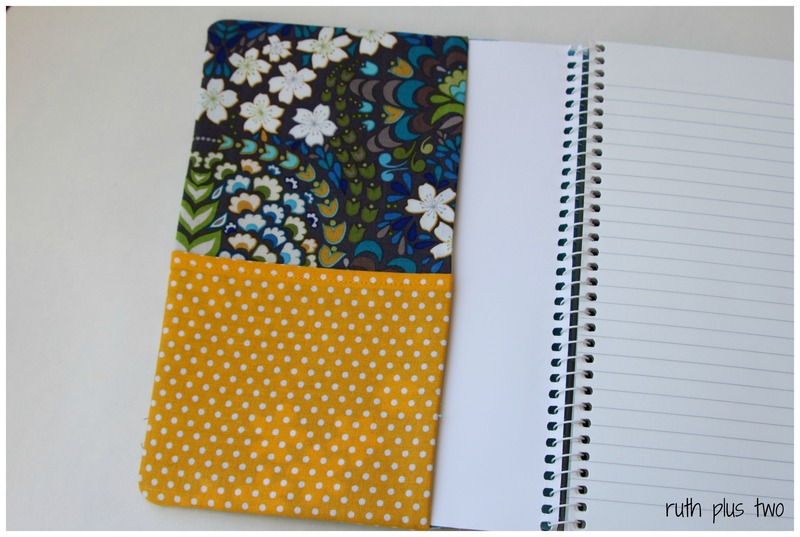 I have grand plans to make covered notebooks as Christmas presents for the educators at Elena and Hugo’s child care centre. We’ll see how I go. I had planned to do some free motion quilting on the covers but, try as I might, I just can’t get it right. I think I’ll stick with quilting in straight lines for the moment! 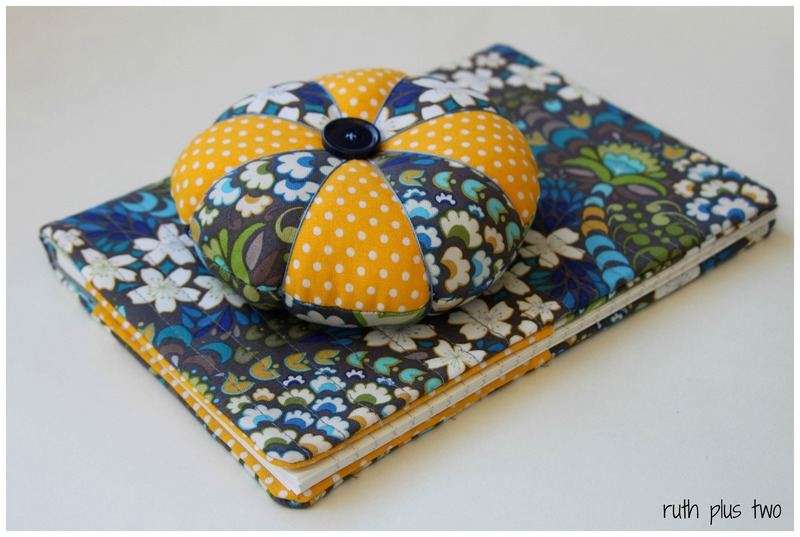 This entry was posted in gifts for adults, quilting, sewing. Bookmark the permalink. PS: I got the tutu today!!! Its AWESOME!!!!! Olivia will be getting it as a birthday gift on Dec 8. Stay tuned for lots of pics b/c I’m sure she’ll be living in it.